A community consultation will take place at the Ward One Community Centre in New Glasgow on Tuesday, Sept. 12 at 7 pm. The topic of discussion will be the New Glasgow Academy-based, Africentric Pre-Primary Program. Information about the program will be shared with everyone in attendance. 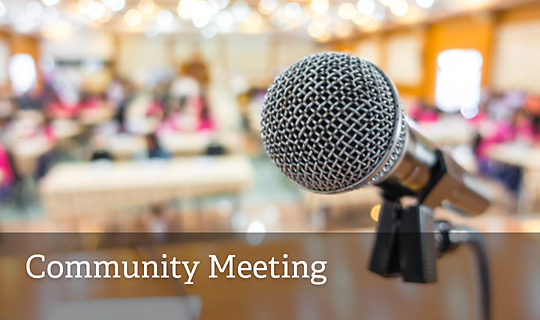 This is a follow-up to the 2016 Community Meeting in New Glasgow and all community members are encouraged and welcome to attend. The Ward One Community Centre is located on Ghana Ave., New Glasgow. New Glasgow Academy is a member of the Chignecto-Central Regional School Board’s Celtic Family of Schools. It is one of eight CCRSB schools to host the provincial Pre-Primary Program this year. For more information on the Pre-Primary Program, please visit www.ccrsb.ca/pre-primary-program-launches-across-nova-scotia.